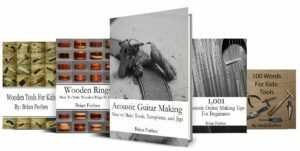 These are five of my favorite woods for ring making, and they can be found in almost any hardwood store. Making wooden rings is a fun hobby. 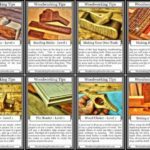 One of the best ways to showcase unique and interesting designs is to be familiar with as many types of wood as possible. The more color and grain options you have, the more creative you can be with your design. 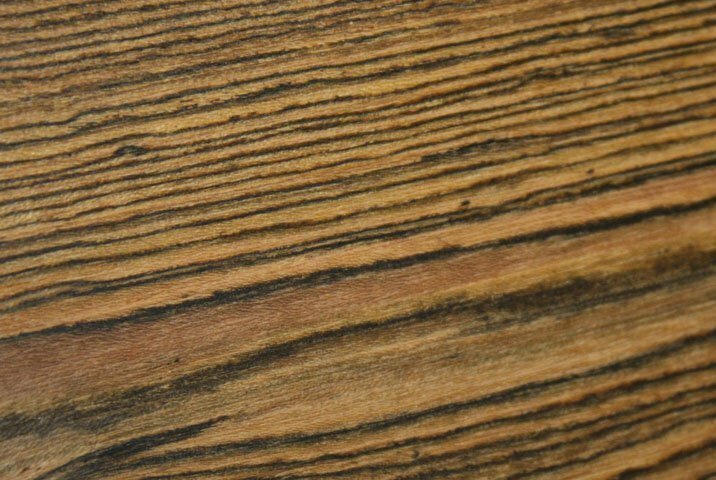 Bocote is a dense and oily wood that comes from South America. The grain coloring ranges from a straw color to a yellow color in the lighter areas. The dark areas range from very dark brown to nearly black. What makes Bocote one of the best ring making woods is the look. You can use Bocote on the faces of a ring, and by themselves they will have an interesting appeal. You can also use it in the middle of a lamination, and the wood will still be beautiful to look at. 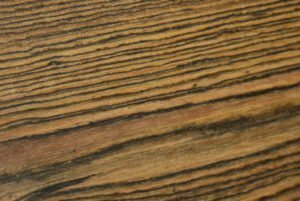 Almost anything you do with Bocote looks great, because the species itself stands out from the crowd. Very few woods have the look of Bocote, and rarity breeds interest in people who see it for the first time. Be careful with exotic tropical woods. Some of these can cause a reaction in those who are allergic to the species. 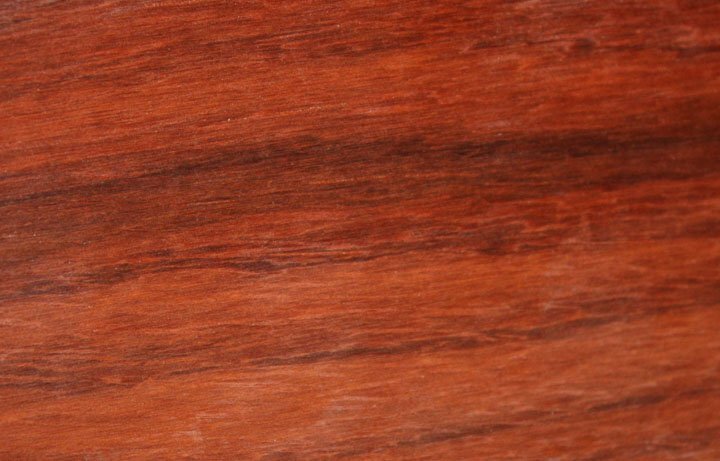 Cocobolo is another great wood to use when making rings. This wood comes from South America, and is very dense. Depending on the cut and the color, this wood has a wide range of looks. 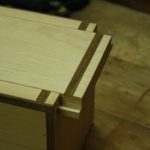 Some pieces that are well quartered will have nice regular grain lines to work with. 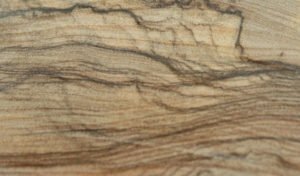 Others with a flat sawn grain will have a swishy pattern that is very attractive. This species is a little more expensive than others, but thankfully ring makers only need the smallest of pieces. A nice game call blank or small pepper mill blank will give up a large number of wooden rings. Look for a piece with interesting grain, and work that into your ring designs. 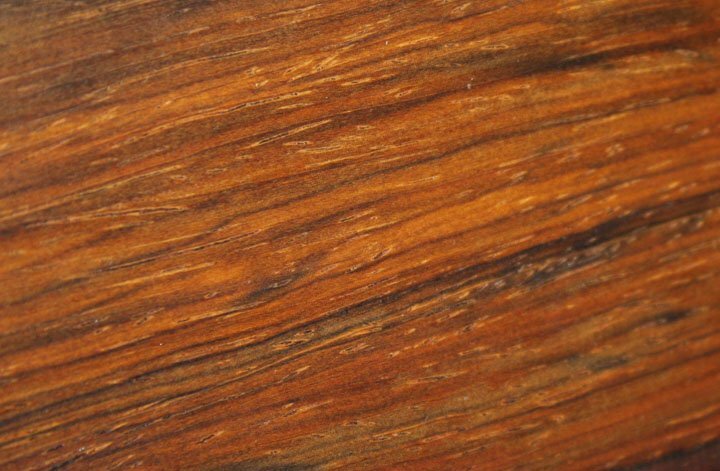 East Indian Rosewood comes from Indonesia and India, and is one of the premier woods for instrument makers. 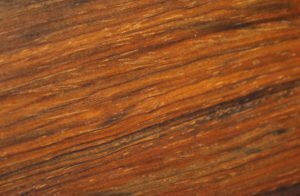 Being an acoustic guitar maker, I have a lot of East Indian Rosewood scraps around the shop. 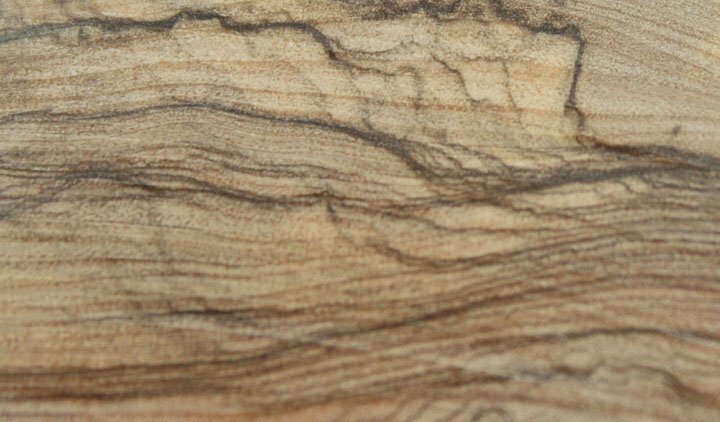 Wooden rings made with this species have a darker look, and yet still show grain lines and color. The wood has a brown to purplish brown look, with dark streaks. It can be found with differing patterns as well depending on the cut. If you look at bottle stopper blanks, these are the perfect size for adding a little East Indian Rosewood to your ring making wood list. Working with Olive Wood is a nice treat. The shop will smell like olives, and the wood itself shapes and works nicely. Olive wood is from Europe and Africa, and some specially harvested pieces can be sourced from Bethlehem. Olive wood has religious significance for many Christians, and can make a thoughtful addition to a wood ring as a gift. 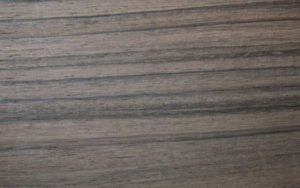 The grain on Olive wood can be very intense, especially on high end pieces. The body color is typically a tan, and the grain lines are dark brown to black. 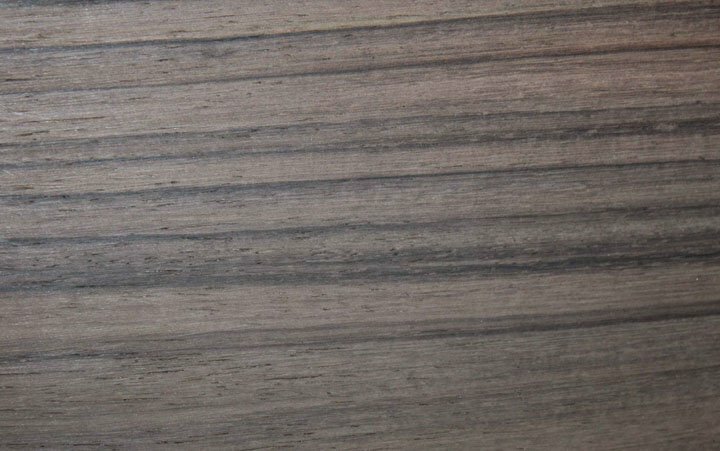 This wood polishes well, and takes a finish well too. Don’t forget to find wood for ring making that has some color. Most woods are some shade of tan or brown, but it’s the rare colors that really stand out. Finally, Padauk is a great choice when you want to add some color. You don’t need red stain when you have Padauk. This is an African wood species with color ranging from bright orange to deep red. Padauk is a great way to showcase a wood color that people are not used to seeing. 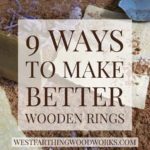 Most people will look harder at a wooden ring with a bright red layer in the lamination. When freshly cut, Padauk is as bright as it will be, and then it will darken over time. If you trap the wood under a good finish, it will stay brighter longer. 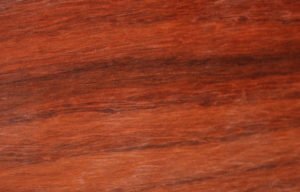 Also, padauk is priced very low when compared to other woods with a similar exotic look. 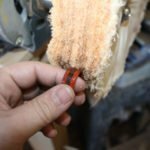 If you want to learn more about ring making, take a look at my Natural Edge Wooden Ring, and My Wedding Ring. Both of these articles showcase beautiful rings, including the wedding ring I am wearing right now. 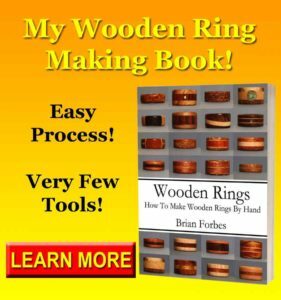 shows over 50 rings, and has step by step examples to help you make them all. 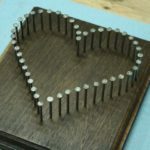 If you don’t have many tools but still want to make a nice ring, this book will show you how. If you have any questions about my 5 Best Woods for Ring Making, please leave a comment and I will be glad to answer them. Happy building.